Happy Friday! I feel like this past week went by super quickly, I can't believe it's already the weekend. 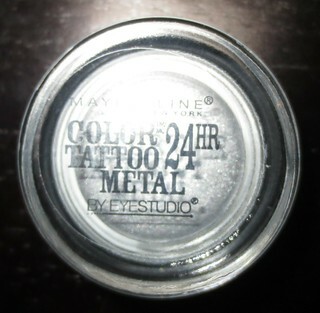 I've been obsessed with Maybelline's Color Tattoos lately, especially with their new Metal shades! Silver Strike is the next shade that I'll be sharing and reviewing. 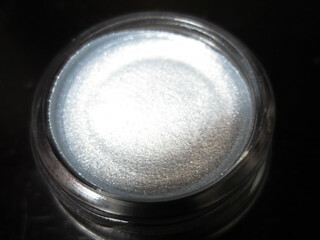 This shade is a beautiful pigmented silver cream shade/base/liner. 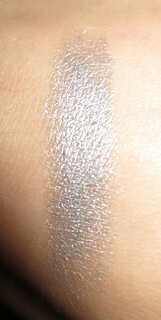 Silver Strike has slight blue undertones, but it is a true silver shade. I love the metallic finish of this cream shadow, it's just gorgeous! This looks so vibrant on the eyes, and is perfect for using as a liner on your bottom lash line. I find that it really opens up my eyes and makes them look more awake. I've been using this as a shadow base, and layering some of the silver shades (Pistol, Verve) from Urban Decay's Naked 2 Palette over top. I've also been using this underneath NARS' Vent Glace eyeshadow duo. 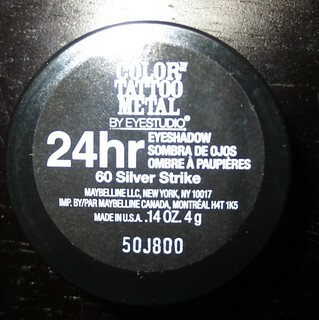 Maybelline's Color Tattoo make for excellent bases, as they really help powder shadows appear more pigmented, and help your eye look stay put all day long. This is such a pretty one too! Bad to the Bronze is Amazing! It's one of my favorites from this line. They wear .. ok for me, but I am oily so only Makeup Forever Aqua creams truly stand the test of time for me. I love Bad to the Bronze, it is just beautiful! Aw really? That's too bad, this would have made a more affordable option! I don't have oily lids, so these really do last all day long for me.